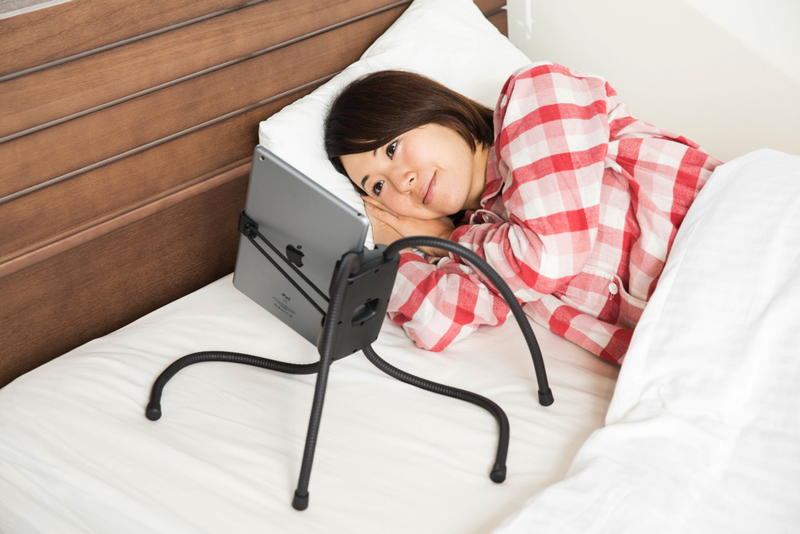 //Portable Tablet Stand Enjoy tablet anywhere you want. No need to hold the tablet with your hand. You can use tablet in full body relaxation. 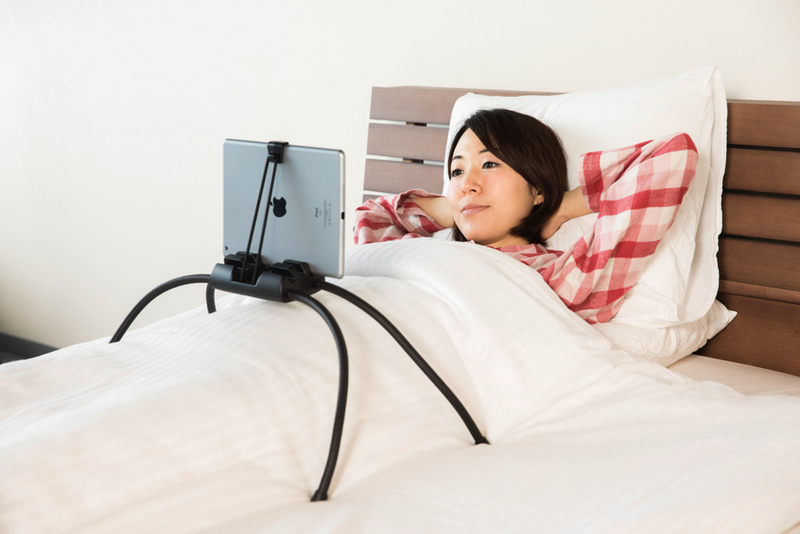 Tablift is convenient for lie-on-side lovers. 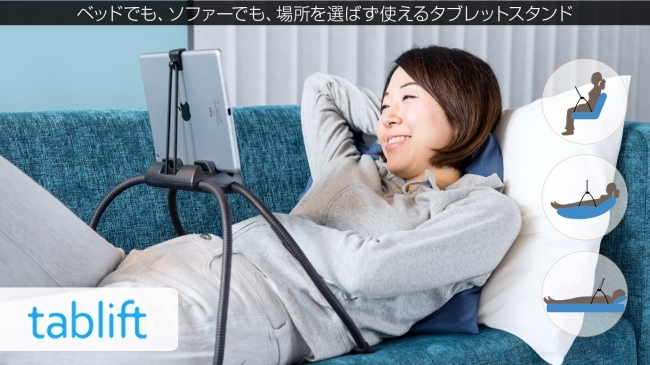 You can relax in comfortable posture with hands-free viewing. Tablet is stable even on the soft, uneven surface of the seat of sofa with tablift’s four-points design. 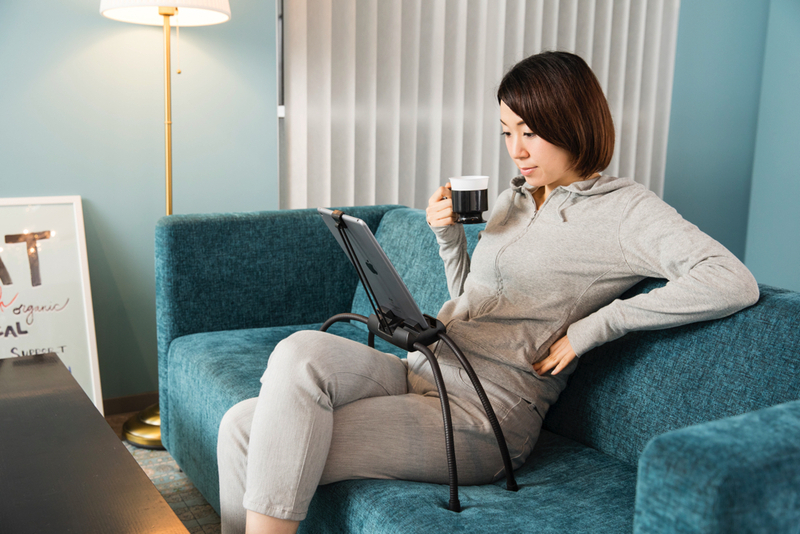 By putting or setting tablift on the seat of chair, you can enjoy hands-free tablet viewing with a cup of drink. You can enjoy viewing tablet in a car. It’s nice to spend time comfortably during long car trip. 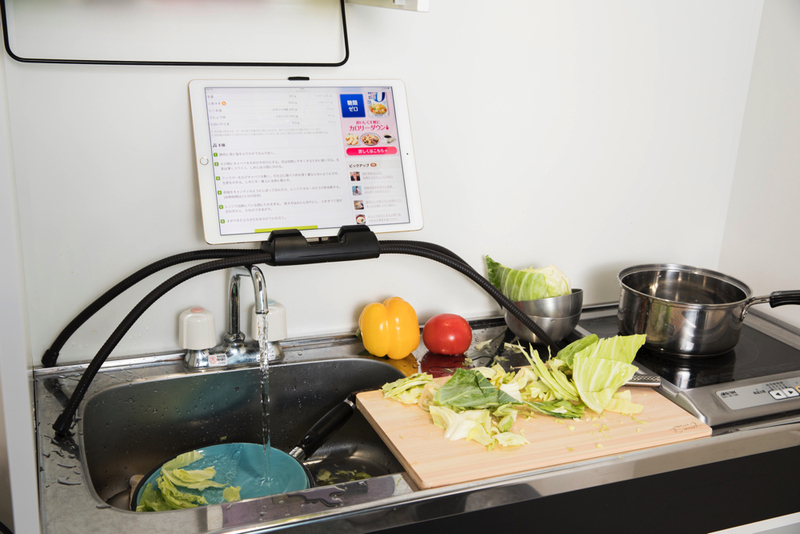 Your tablet can get enough distance from sink or counter-- your tablet is in a water-and-dirt-free place. 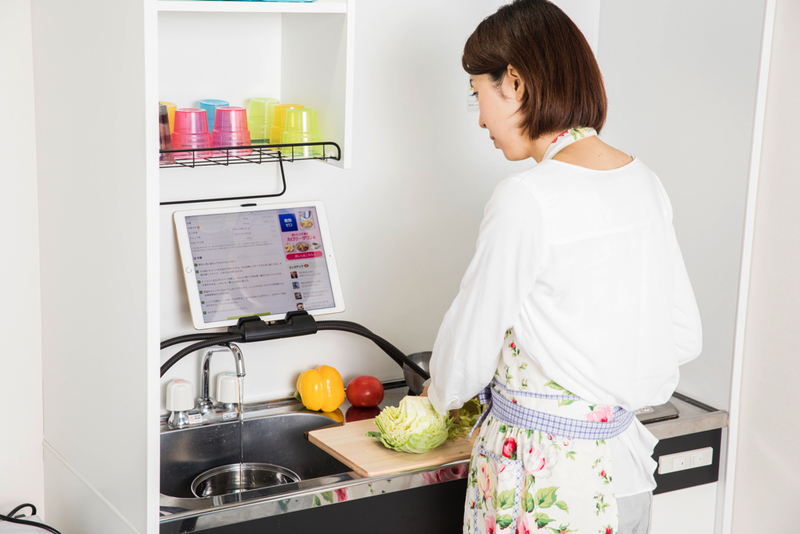 Tablift fits even in the small-sized kitchen. 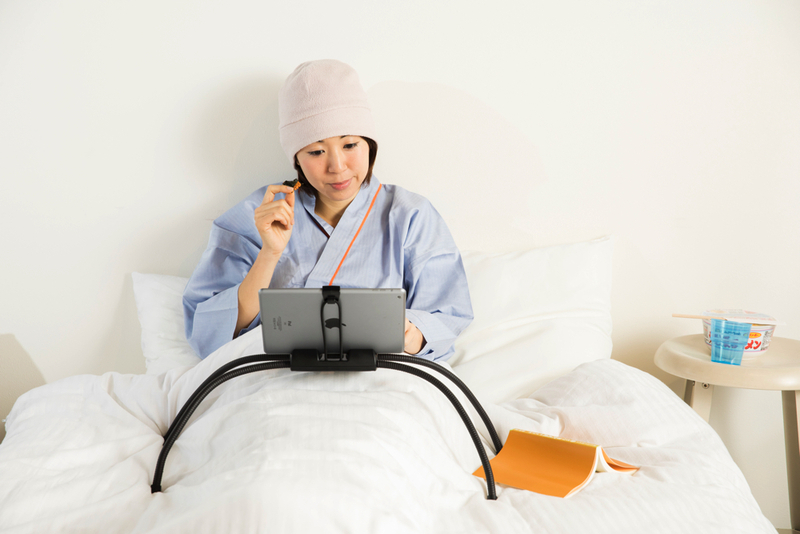 Tablift is a perfect gift for inpatient. 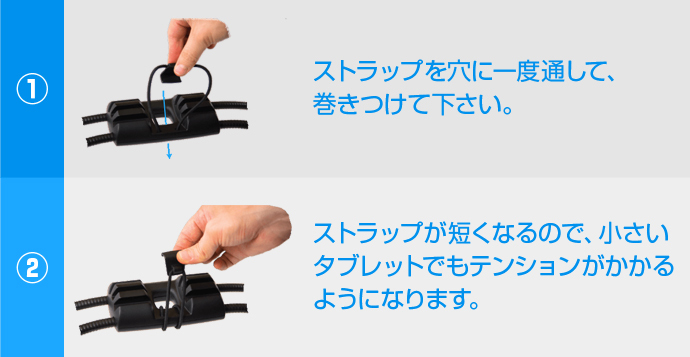 ▪︎Fix tablift by looping legs around other items e.g. aerobikes. Be free from boredom. 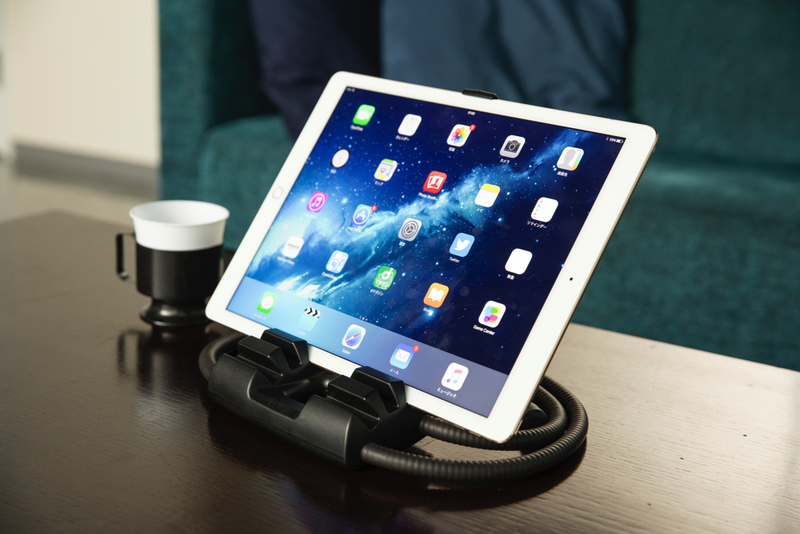 Depending on your ideas, it’s also possible to fix tablift by looping its legs around a variety of things around you. 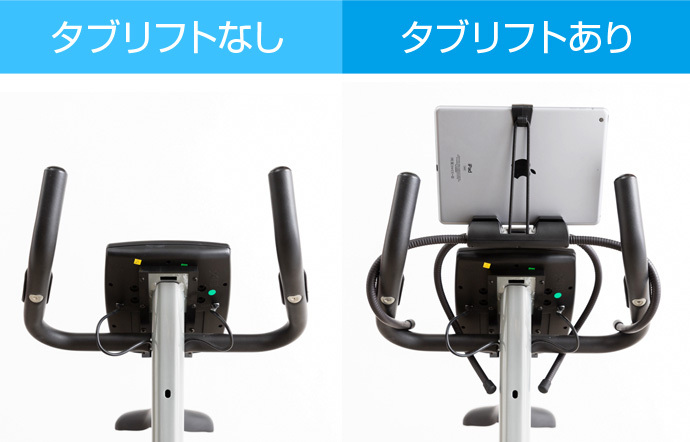 Please watch the video introducing the differences among tablift and other tablet stands. You may recognize that tablift overcame discontents of other tablet stands. Let’s explore the utility of tablift by adjusting the shape of its legs. ▪︎While jotting down on notebook. 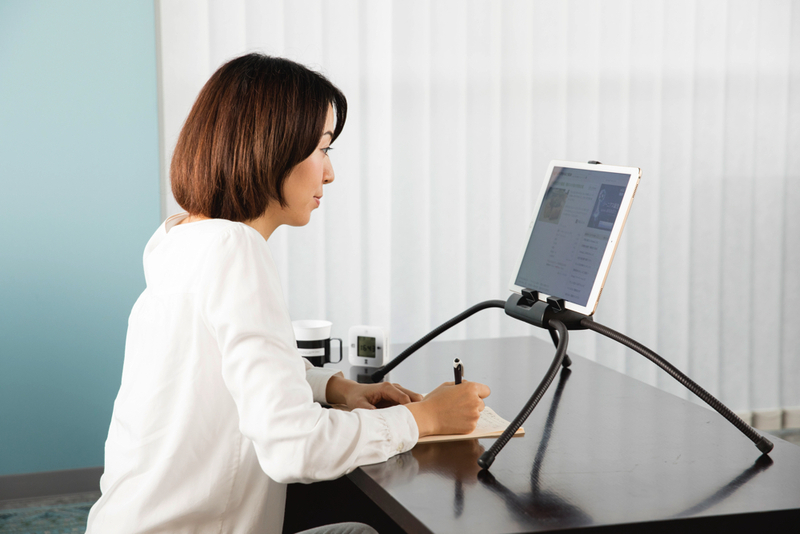 With Tablift, you can work with your tablet in comfortable position as if to use desktop computer. 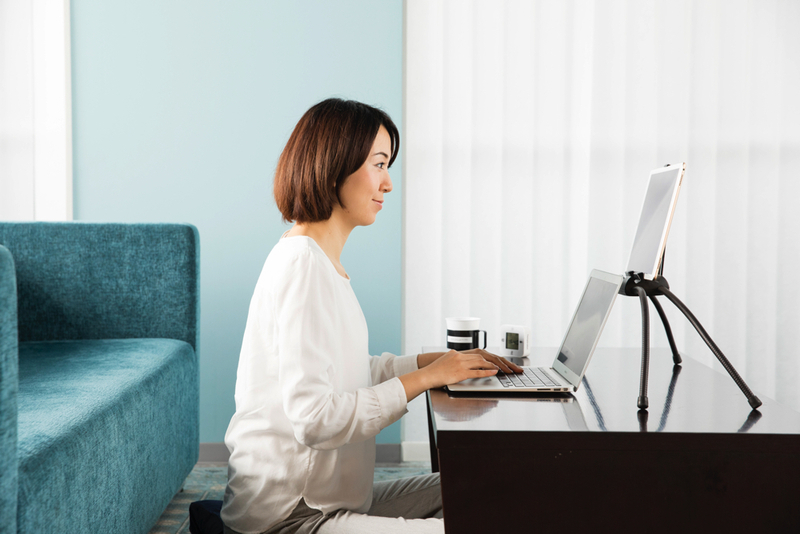 ▪︎Utilize your tablet as a sub-display of PC by installing it nearby the PC’s display using tablift. 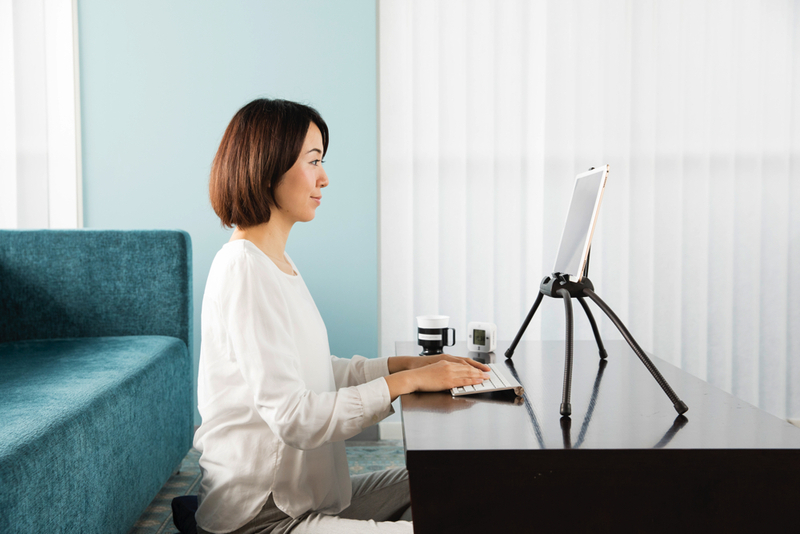 Folding the legs of tablift, you can install your tablet on your desktop. ‘Tablift’ is designed to be used for almost every model of tablets. 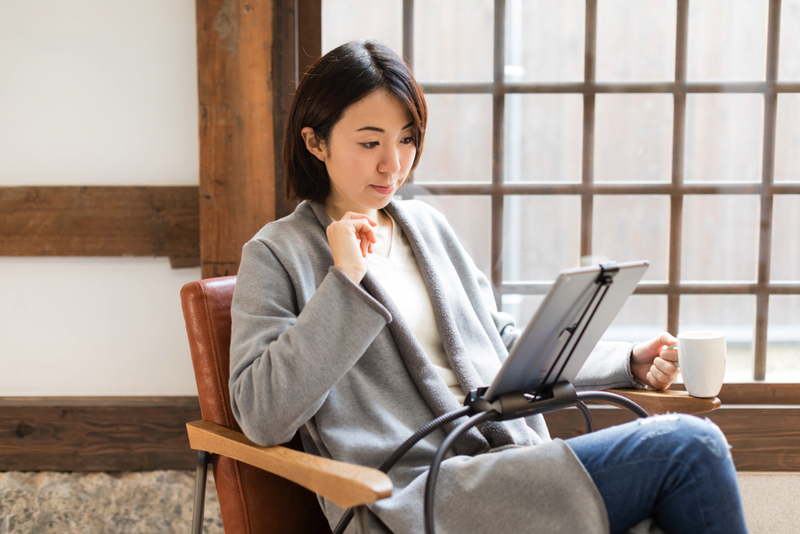 ▪︎Tablets compatible with tablift ・iPad(All models) ・Samsung Galaxy stand(All models and sizes) ・Microsoft Surface 2/3 ・Microsoft Surface Pro 3/4 ・Amazon Kindle- Fire HD, Fire HDX, Paperwhite ・Tablets of 10mm deep or less. 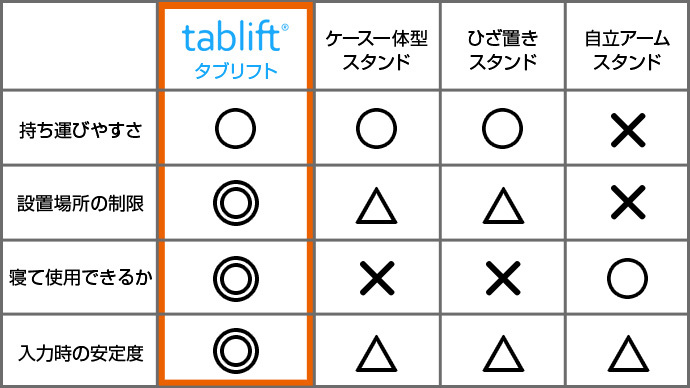 You can use tablift continuously even if you purchase new tablet. 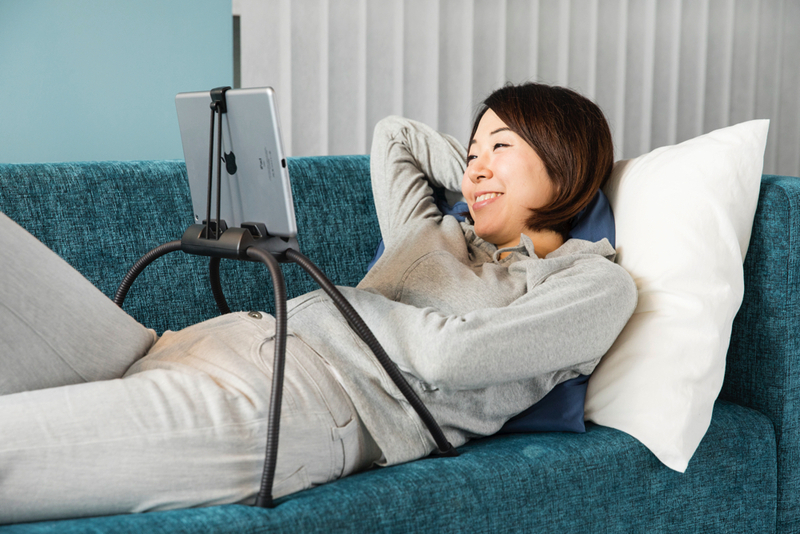 For example, the process above works when you install iPad mini to tablift with lie-on-side position. 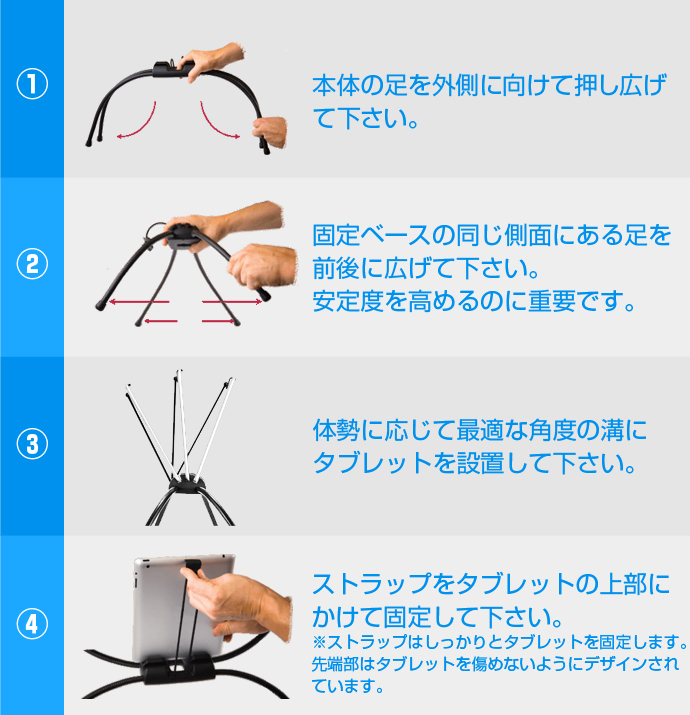 ▪︎ It’s easy to carry or store if you fold the legs of tablift. We prepared an introduction movie to use tablift. 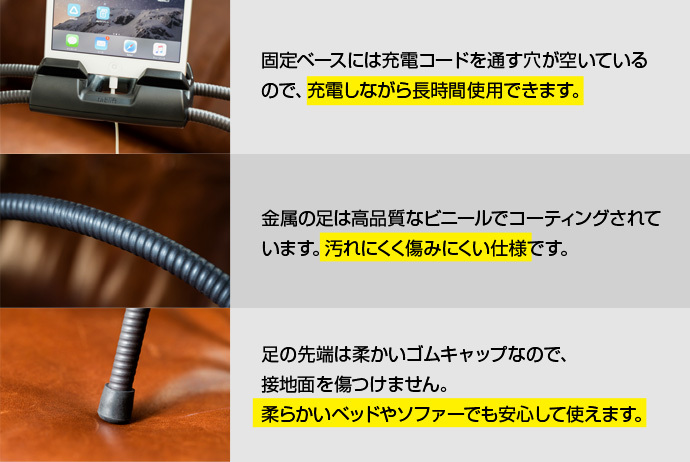 The following images shows how the tablet’s display can be seen from following positions. 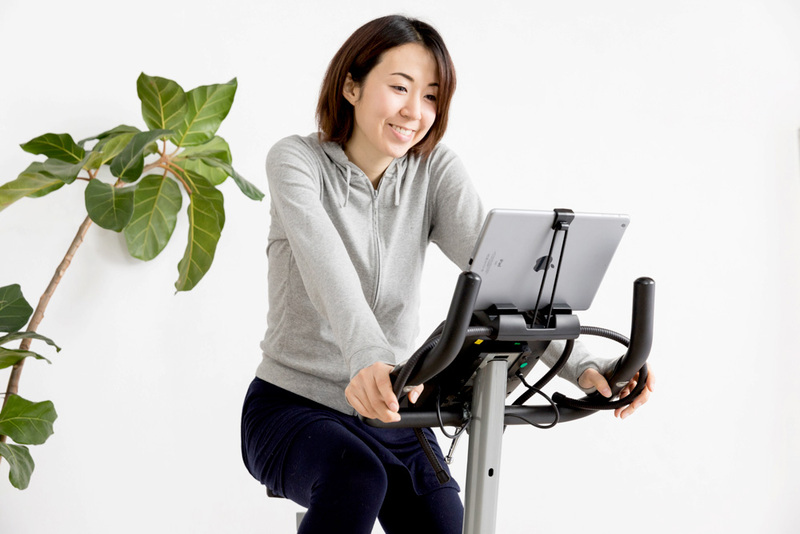 SAKURADOME CORP., is the exclusive distributor of Tablet in Japan.